London: Under fire from furious fans and unable to placate his unsettled stars, Arsenal manager Arsene Wenger finds himself assailed by familiar problems just weeks into the new season as he battles to salvage his tarnished reputation. 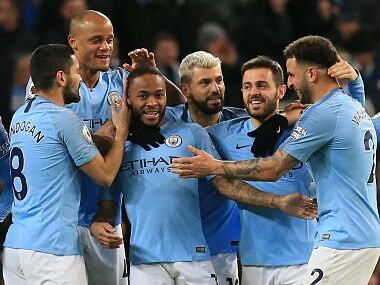 Just four months ago, the Frenchman was celebrating a FA Cup final triumph against Chelsea that the 67-year-old hoped would herald a new era of sustained success. Making matters worse, the Arsenal boss, hailed for revolutionising the English game in areas such as diet and fitness after he joined the club in 1996, is locked in damaging contract stand-offs with Chile forward Alexis Sanchez and play-maker Mesut Ozil. 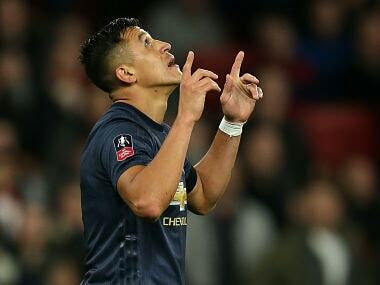 Sanchez's refusal to sign a new contract, with his current deal due to expire at the end of the season, makes it difficult for the Frenchman to expect full commitment from his most influential player. Ozil is also in the last year of his Arsenal contract and the German's patchy performances over the past two years suggest Wenger should not rely on him for help when the flack is flying. England internationals Alex Oxlade-Chamberlain and Kieran Gibbs were sold before the deadline because they showed little interest in signing new deals, while Wenger failed with a bid for Monaco prodigy Thomas Lemar, leaving him with depleted options as he tries to reverse Arsenal's decline. Watching Wenger ashen-faced on the touchline during Arsenal's capitulation at Liverpool, it was hard to believe only weeks earlier he was talking boldly of pushing to win the English title for the first time since 2004. Wenger believed last season's success at Wembley and his subsequent decision to sign a two-year contract extension, after briefly contemplating ending his 21-year reign, had put him back in a position of strength. 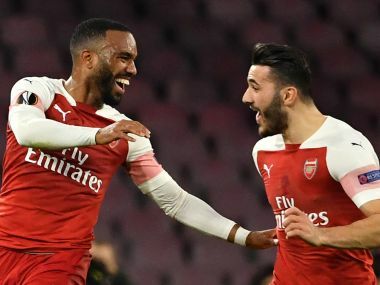 Spending a club-record £52 million ($68 million, €57 million) on Lyon striker Alexandre Lacazette indicated Wenger was intent on maximising his opportunity. Yet he did not have to wait long for that optimism to dissipate. 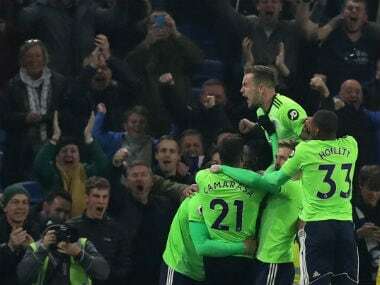 Infuriated by Arsenal's failure to qualify for the Champions League for the first time in two decades, many Gunners' supporters had staged protests calling for Wenger to quit last season and the detractors remained steadfast in their belief he should go. A forgettable pre-season friendly against Benfica at the Emirates Stadium suddenly turned ugly when an irate fan sprinted onto the pitch and made a beeline for Wenger before being tackled by stewards. The supporter appeared to launch a tirade at the Frenchman as he was escorted away, the uncomfortable flashpoint foreshadowing the renewed misery looming around the corner for the Arsenal boss. Those who admire Wenger for his purist principles and recall the three Premier League titles of his early Arsenal teams, when he went toe-to-toe with Alex Ferguson's Manchester United, have clung to the belief he could still conjure up that old magic. But the losses to Stoke and Liverpool laid bare the fatal flaws Wenger has stubbornly refused to fix. His error-prone defence lacks leadership, the midfield is short of drive and desire and Wenger's forwards too often fail to turn their team's possession into goals. 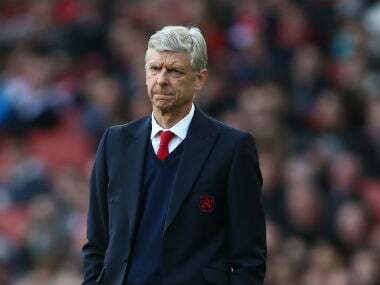 Even Wenger's former players are losing faith, with former Gunners midfielder Emmanuel Petit saying, "I really thought they would have a big transfer window. "But since the start of July, every day I look at the newspapers, and nothing has happened. He is no longer the man for the job." Ex-striker Ian Wright added, "Watching him now is like watching Muhammad Ali fight Larry Holmes. You're watching Ali, one of the greatest ever, getting beat up. "It was horrible, it was uncomfortable, you don't want to see that." Starting this weekend against Bournemouth, the clock will be ticking on Wenger's bid to avoid the knockout blow.